Choose to come and visit our lodge. 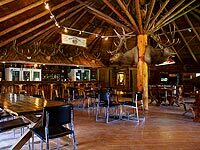 You may stop for breakfast, lunch and/or dinner or rent a rustic cabin and enjoy the beautiful scenery overnight. 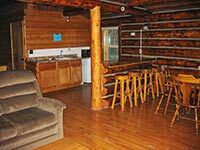 We rent our cabins by the day, week or month. 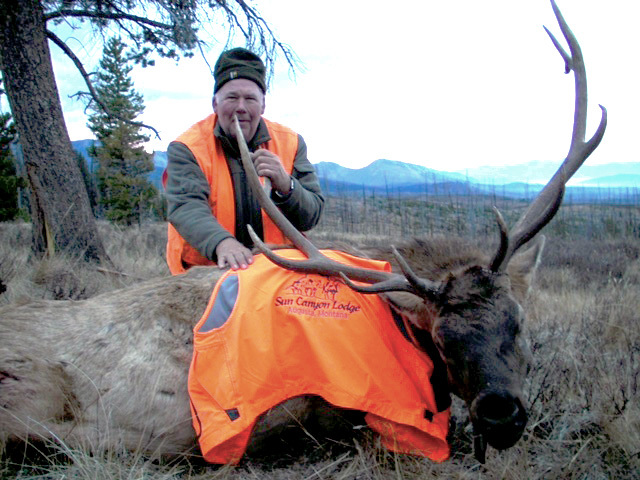 The outstanding scenery around the Sun Canyon Lodge is breathtaking all year long. Come for a weekend with your camera to catch the foliage changes and wildlife. 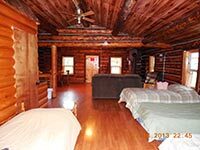 We have comfortable cabin accommodations from which you can enjoy all the outdoor activities during the day and return to your cabin that evening. You may do your own cooking using the outdoor fire ring or join us for delicious menu meals at the lodge. 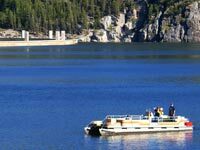 Cabins rent by the day, week, month or season. BBQ's are our specialty, with liquor service available. 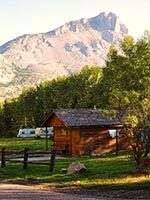 We have RV & tent spaces and a shower house with laundry facilities. There are large play areas for children, with swings, volleyball and tetherball. We also have horseshoe pits. 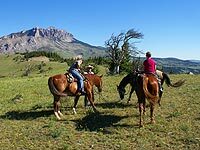 Once you get settled, feel free to schedule a tour on the Gibson Reservoir or a trail ride on our gentle mountain horses. 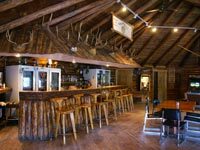 Join us in the Lodge for cool evening drinks at our all beverage bar. All riders must be six years of age or older. 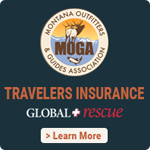 Please note Montana Code Anno. 27-1-727. An equine activity sponsor or an equine professional is not liable for an injury to or death of a participant engaged in an equine activity - RIDE AT YOUR OWN RISK! Availability for services depends on water levels.